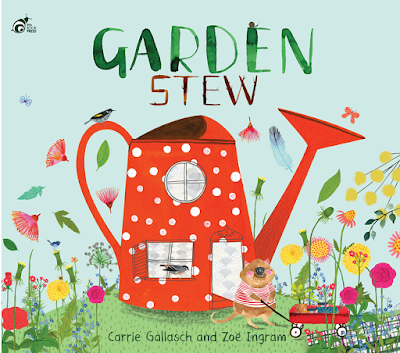 I have fond memories of spending endless hours in my grandparents’ garden mixing my own stews in the bird bath and this book brought those memories flooding back. 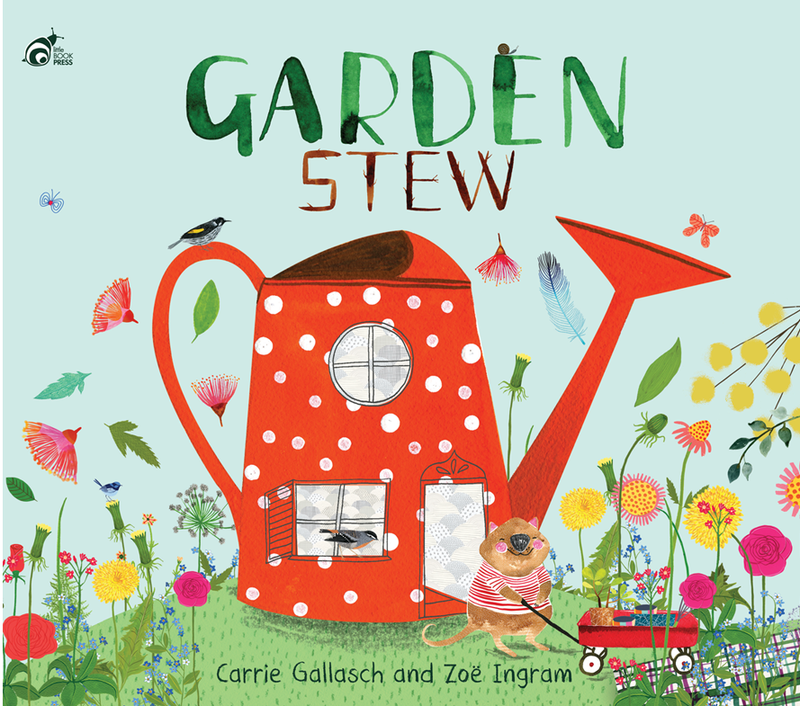 This is a beautifully bright and happy book, with bold and charming illustrations that put you right at the centre of the fun and help kids engage with the garden environment and explore all the different leaves, flowers twigs and even creepy crawlies that can be unearthed. There’s nothing like that childhood joy of being free in the garden, mixing together leaves, flowers, dirt and feathers and anything else you can find to make that perfect garden stew. Kids will love the authentic fun to be had in this lovely little picture book. A great one for reading aloud. Look out for our 12 Curly Questions with author Carrie Gallasch coming up next week.